Over 40 years of scaffolding experience on residential & commercial projects. 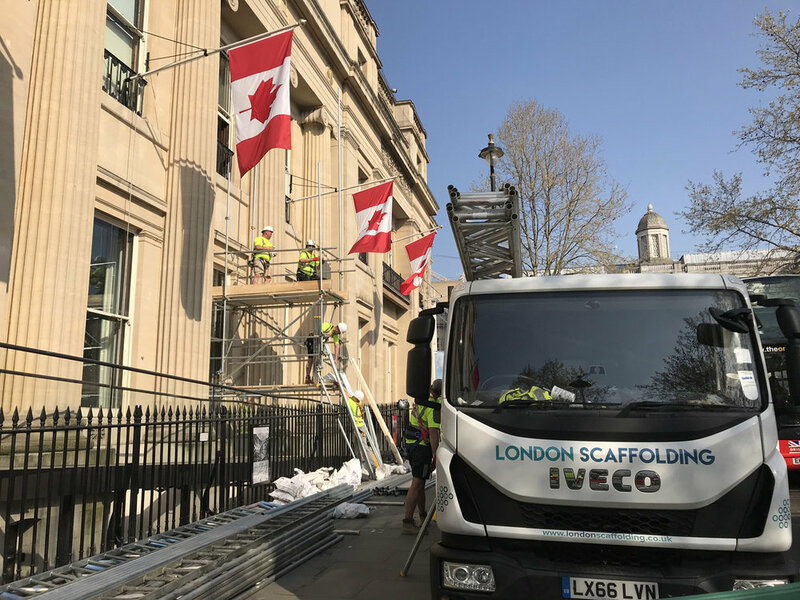 London Scaffolding Ltd is a family run business. The Quinn family have over four decades of experience in the scaffolding industry with Patrick Quinn starting out originally in the 1970's. Over this time we have gained a wealth of experience in small to large scale scaffolding projects. The projects range from small domestic projects to mid-size commercial projects. We specialise in dealing directly with trade suppliers, developers, builders, rail industry, etc. We also work directly for private clients and DIY projects. Our approach is to provide safe access platforms at a very competitive price. We are always willing to consider and compete against comparable quotes. For our regular customers we offer further discounts including reduced extra hire charges. arrange a meeting (ideally at the location where the scaffold is to be erected). We can normally arrange to meet within the week of request and typically will be able to provide a fixed price quotation with 24-48 hours on small - medium size projects. If it's urgent we will do all we can to accommodate, just give us a call. The dates given are indicative and not guaranteed. Generally we confirm your booking within one working day. If you need urgent clarification it can be booked via our office. Please note, whilst we do everything possible to meet booking dates the British Weather is our main issue, especially in the winter months. We are fully insured for public and employers liability. The below policy covers over 98% of our standard type of projects. If a particular projects requires additional insurance requirements, this can be arranged on request. Our office and depot are based only 5.3 miles from the centre of London. We cover all London postcodes and generally all areas within the M25. If you are outside of this area, we can always consider your requirements. If you call us we can confirm.